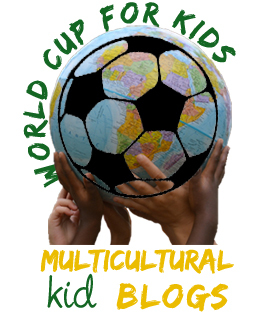 My family’s World Cup Experience, scribed for Multicultural Kids’ Blogs! Starting Thursday, thirty-two nations will come together for FIFA World Cup 2014, in hot hot Brazil. It is a chance, of course, to see favorite players, the world’s best. Soccer is definitely our family’s cup of mate. My husband is a soccer player, so what if he’s unofficially retired at 35? Soccer love is eternal. He will forever be the handsome soccer player I snagged, the guy with the great quads. (Being that I’m American, I call it soccer, not futball). 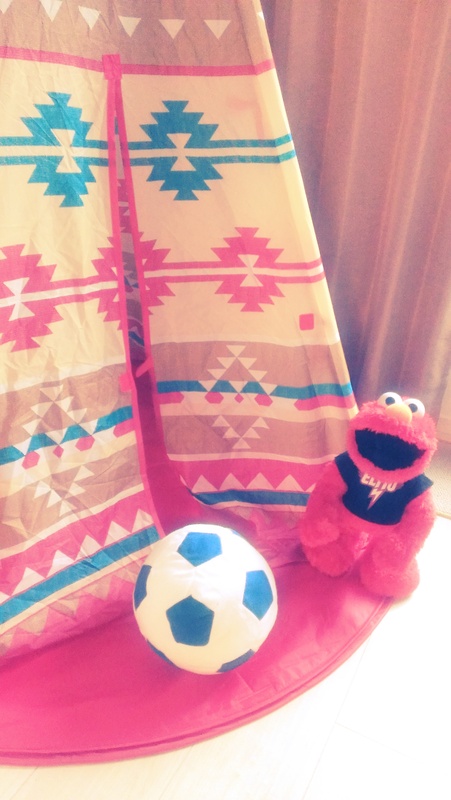 Now that we have little ones, now that we live in Tokyo, now that we all naturally want to root for our countries, for our heritage, the FIFA World Cup holds such meaning and great opportunity for teaching. This tee-pee works as our family’s net. Let’s hope Elmo is a solid keeper. Aha! What a teaching moment and the games haven’t even started! My guy told her about national anthems and how each country has one. The players and fans all sing it. He promised to teach her ours. “Am I a little bit American?” She sometimes thinks she’s just a bit, or maybe not reeeeally American, since we live here in Tokyo. Since she is also Japanese and speaks the language. Now, for the Anthems. This is a nice little grouping of national anthems, featuring You Tube clips and musical assessments from singers and songwriters in the biz. The writer of this article and compilation assesses that throughout the course of The FIFA World Cup, “Thirty-two national anthems played a total of 128 times over the course of the tournament”…comes out to be roughly three hours and twenty minutes of anthem-singing. Holy Moly Anthemoly. What a chance to teach our kiddos their anthem, or anthems, depending on how many countries and nations they represent! That’s how I felt, anyway, before actually showing my daughter a couple of patriotic songs. She thought it was boring and wondered if we might watch a Frozen song instead. This must be the best workout album, ever, featuring Pitbull, Jennifer Lopez, & Claudia Leitte’s Ole Ola. If you and your fam are interested in something modern, something with a beat, look no further. 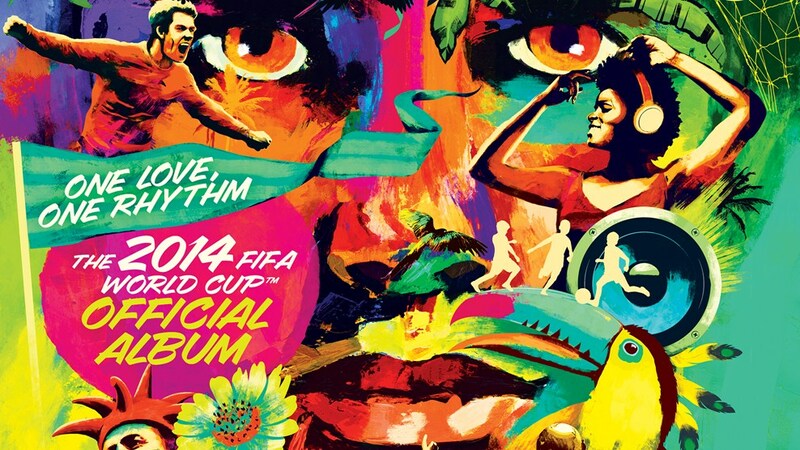 Here are some pretty serious videos all vying to be your favorite FIFA World Cup Anthem” for 2014. There is the Pepsi-made song, something from Samsung, & those yoghurt people at Activia, to name a few. Coca-Cola did something pretty darn awesome, taking one song, The World is Ours, & bringing it to local artists to contribute their local sound to weave more than thirty versions into the whole. I’m looking forward to seeing my daughter step into greater clarity and pride as she cheers on two nations, as she cheers on a world coming together to play a game. I’ll tell her Queen Elsa is due to make an appearance at half-time. 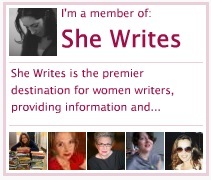 ← Is a Blog Hop Like a Sock Hop? My son is about the same age, so this sounds very familiar! I love your focus on the music of the World Cup and how it relates to heritage and enthusiasm about the games. We had a similar conversation about national anthems just a few nights ago (although admittedly it came up after watching someone sing the US national anthem before an NBA Finals game). How cool that the World Cup is allowing your daughter to embrace her double heritage – as long as her principal allegiance is to Frozen, of course 😉 So glad you are participating in this project! Thank you, Leanna! I really love your comments. How fun to picture you chatting with your son over his heritage & anthems during the NBA. Yes, sounds like these teachable moments are really working for us! 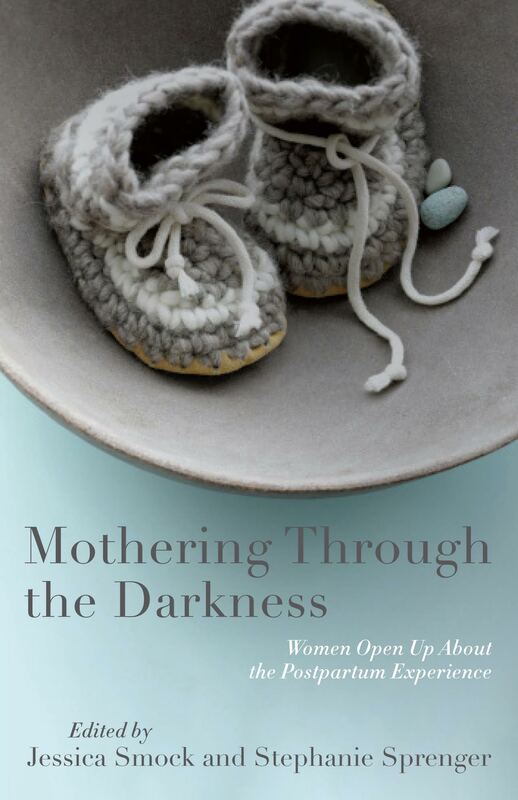 This is an exceptional project. I’m learning so much! love your post!!! I am looking forward to the match of Colombia vs. 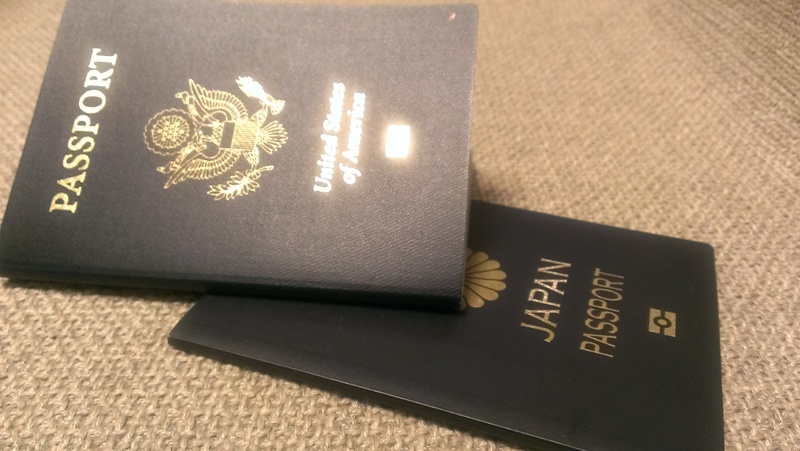 Japan!!!! Thanks, Johana! These games are pretty fun, huh? I can’t wait to read up on you & your beautiful life in Tortuga.